In 2009, Dr. Earle named the Gulf of California one of her top “Hope Spot” locations and vowed to help bring attention and support to the region. Through expeditions in 2010, 2015 and 2016, Dr. Earle and the Mission Blue team have developed close ties to community groups and policy makers in the Gulf of California with support from partners including the Paul M. Angell Family Foundation and the Mexican Fund for the Conservation of Nature, A.C. (FMCN). We look forward to continuing to shine a light on the beauty and value of this rich ecosystem and those who are working to protect it. Jacques Cousteau dubbed the Gulf of California “the world’s aquarium.” The Gulf of California, also known as the Sea of Cortez, is a 700-mile long narrow sea between Baja and mainland Mexico and one of the world’s richest and youngest seas. It was declared a UNESCO World Heritage Site in 2005 due to its immense biodiversity and biological productivity. The Gulf is home to over 800 species of fish, 2000 invertebrates, as well as whales, dolphins, sea turtles and sea lions. The critically endangered Vaquita porpoise finds its only home on Earth here. The region supports 256,000 hectares of mangroves, 600,000 hectares of wetlands and 70% of Mexican fisheries and is also home to the deepest hydrothermal vents in the Pacific Ocean at a depth of 12,500 feet. The Gulf’s biological proliferation attracts over 1.5 million visitors every year. 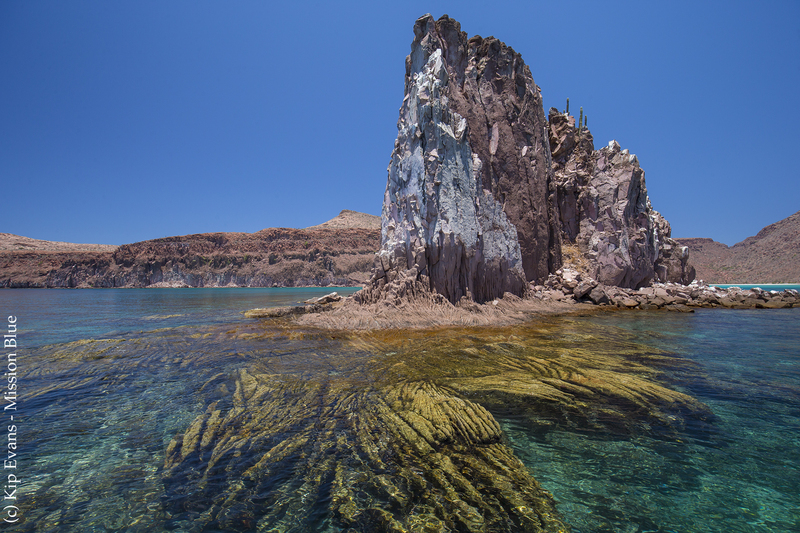 Explore unique areas in the Gulf of California with a select team of scientists, donors, partners and press. Highlight areas that need protection, and areas under consideration for marine protected area status. Increase Mexican political officials’ knowledge of local conservation groups and programs working at the grassroots level. Complete a short film highlighting the cruise and the importance of helping Mexican NGOs working to protect the Gulf of California, which can be used to further develop stakeholder support in the region, as well as shown on local and national television, film festivals, and the web to promote national and international awareness.